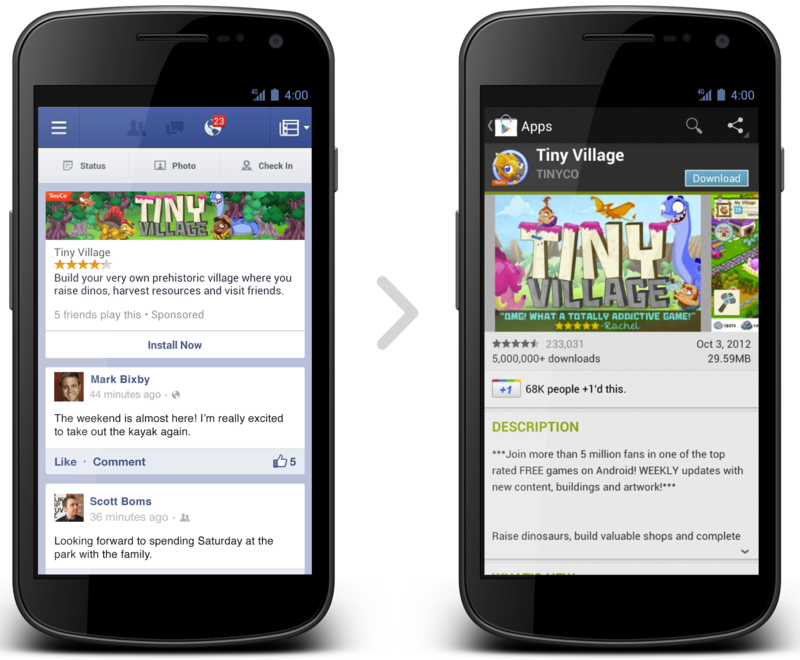 App developers pay huge sums for ads that gets them installs, and Facebook wants to gobble up that spend. So today Facebook begins allowing all developers to buy its recently announced app install ads that appear in the mobile News Feed. Until now, just a few partners had access. Facebook is making a big bet on the app economy, and wants to be the top source of discovery outside of the app stores. 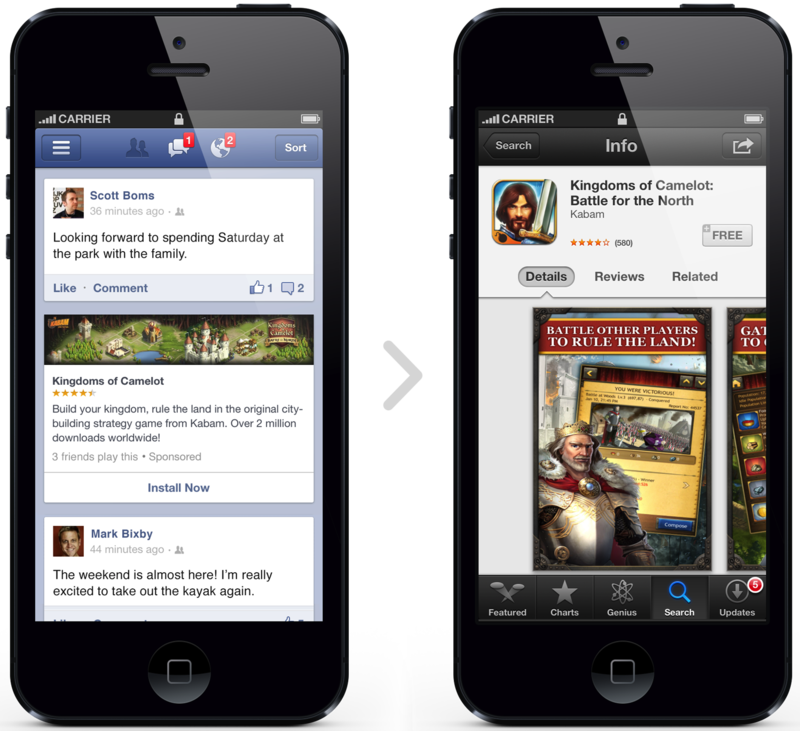 The mobile app install ads let developers buy tiles that promote their apps in the Facebook mobile news feed. When tapped, these instantly open the Apple App Store or Google Play market where users can download apps. The ads are working already. One client TinyCo saw a 50% higher click through rate and higher conversion rates compared to other install channels. Facebook’s ads also brought in more engaged users. Ads tech startup Nanigans clients attained 8-10X more reach than traditional mobile ad buys when it purchased Facebook mobile app install ads. AdParlor racked up a consistent 1-2% click through rate. A few design lessons were learned in the trial that started 2 months ago. People can’t go on an app’s name, short description and icon alone. They want social proof that they should download. That’s why the ads now show an app’s ratings from the Facebook App Center, as well as which friend use it. The new versions look much better than the old ads. Developers can easily buy these ads through the Ads API, Power Editor, Facebook ads partners, or straight from the App Dashboard since all the creative is pre-fixed. 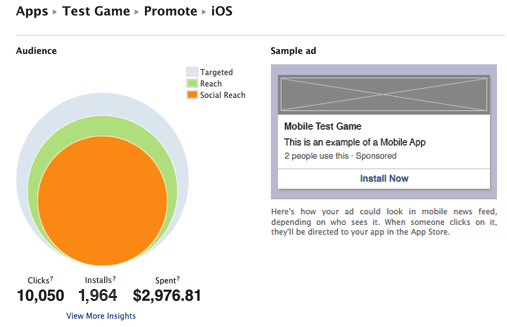 Facebook is also offering deep analytics to let devs track their ad clicks and the installs they drive. In the future developers may gain more targeting options, personalized creative, and the option to let users start downloading apps without leaving Facebook. Now to be clear, these are still non-social ads. They don’t require a friend to have Liked or installed the app for an ad to reach your news feed. That means Facebook has to be careful not to show too many, or it risks drowning out organic friend content. If advertisers target their campaigns poorly to people that don’t want their apps, Facebook users could feel like they scrolling an obnoxious billboard instead of friends’ status updates and photos. 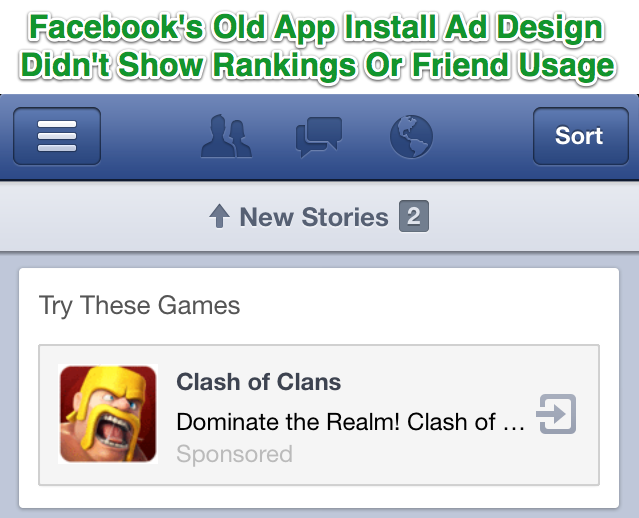 But if users dig them, app install ads could be the great mobile hope for Facebook’s bottom line. Mobile app installs are a huge industry. With the time spent on Facebook’s own apps, these ads could make sure any time a company launches a new app, it’s paying Facebook.